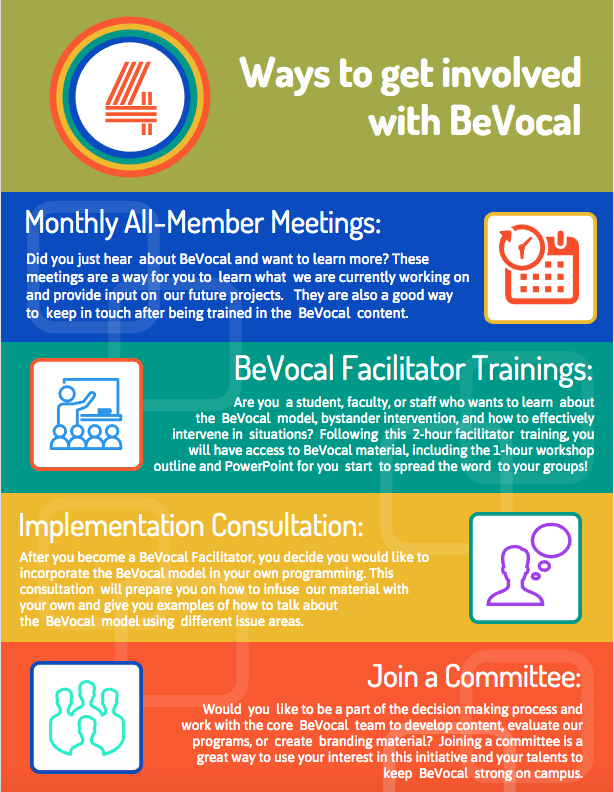 Have you just learned about BeVocal at UT Austin and are wondering how to get involved? There are numerous ways to become involved depending on your availability and interest! Check our social media for relevant articles and initiative updates. Attend a BeVocal Facilitator Training or Implementation Consultation throughout the semester. Join the listserv to get updates about our next training date and member and committee meetings. 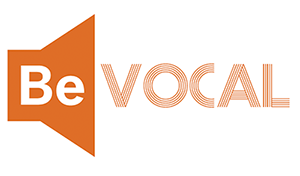 If you are a student, check out our BeVocal Student Organization as well!